Balham SW12 Hard Floor Cleaning Domestic & Commercial | Quality Property Care Ltd.
With our team you won’t have to worry about the results, we get a mirror finish each time you as us to. Give us a call at 020 3746 4287 and have our team clean for you the same day you have called, simply specify your floor types and your needs and we’ll come prepared. 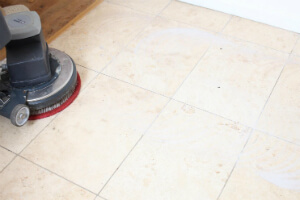 It’s often that slate and stone floors require a good, deep clean as it is hard to remove dirt particles from an abrasive surface with a lot of little nicks and uneven spots. A regular mop cannot eliminate these residue deposits and sometimes a more thorough procedure is necessary. We use low pressure, high temperature capturing techniques that allow us to emulsify the area and extract all of the filthy residue on the floor. More often than not the reason such floors get so dirty and are hard to clean are these uneven spots. A good way to reduce this is to coat this floor type in a protective coating which will not only protect it from damage but also prevent from grime and dirt building up. If you want our talented and skillful Balham SW12 floor cleaning experts to help you out with the floor stains and faults, too, reach Quality Property Care Ltd. via this phone number 020 3746 4287! Floors like Linoleum Laminate Floors Vinyl, Karndean and Amtico floors, we would recommend you decent and tender approach, combined with harsh stain elimination, proper disinfection and bacteria removal. As we send a one man team, the moving of large furniture is impossible. 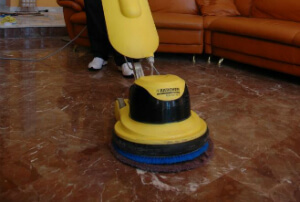 A vacuum method is used to clean the floor from hairs, dust and other debris that might interfere with the cleaning. A cleaning solution is chosen based on the type of filth we are dealing with as well as the type of floor. To be sure we’ve chosen right a little spot of the floor is tested to see how it reacts, if it’s a safe reaction we can proceed. The solution is then applied on the floor and is scrubbed deep into the floor so it can lift the filth from inside. If the floor is wood made we use drive pads which pick up surface filth from wooden surfaces. The floor is rinsed to remove the solution and grime, and it is dried and mopped with a cloth or paper. If the floor type you have requires it we apply a protective coating, a seal, a polish or a wax. Drying time for such coatings is thirty minutes, with a second coating taking up to 2 hours to fully dry and solidify.